All publications are available for purchase. Contact the Gammel Estrup Manor House Museum shop. Special price: DKK 168 (normal price: DKK 198) + postage and handling charge. Nybygt af gammel Art. Nygotisk herregårdsarkitektur i Danmark 1830-1900 [English: Neo-Gothic Manor House Architecture in Denmark, 1830-1900]. By Anne Grethe Sværke. Published by the Danish Research Centre for Manorial Studies and Skippershoved Press, 2010. Price: 290 DKK + postage and handling charge. Ed. : Signe Steen Boeskov, Dorte Kook Lyngholm and Mikael Frausing. Published by the Danish Research Centre for Manorial Studies, 2010. Price: DKK 99 + postage and handling charge. Byens adelsgårde og palæer. Norden 1720-1800 [English: City Mansions and Townhouses. Scandinavia 1720-1800]. Ed. : Britta Andersen and Pernille Roholt. Published by the Danish Research Centre for Manorial Studies and Skippershoved Press, 2008 Ill. ISBN 978-87-89224-43-5. Price: DKK 198 + postage and handling charge. Herregårdenes Indian Summer – fra Grundloven 1849 til Lensafløsningsloven 1919 [English: The Indian Summer of Denmark’s Manor Houses – From the 1849 Constitution to the Conversion of Entailed Estates Act of 1919]. Ed. : Britta Andersen, Dorte Christensen and Carsten Porskrog Rasmussen. Published by the Danish Research Centre for Manorial Studies and Skippershoved Press, 2006 Ill. ISBN 87-89224-41-8. Pris: 295 kr. + postage and handling charge. Gods, gårde og kulturlandskab. Besiddelsesforhold i den sydlige del af Nørrejylland 1570-1788 [English: Estate, Farms and Cultural Landscape. Terms of Possession and Estate Structures in the Southern Area of Northern Jutland from 1570 to 1790]. By Adam Tybjærg Schacke. Published by Landbohistorisk Selskab, 2007 ISBN 978-87-75262-12-0. Price: DKK 298 + postage and handling charge. By Janni Skovvang Ed. : Stine Lucia Rasmussen og Pernille Roholt. 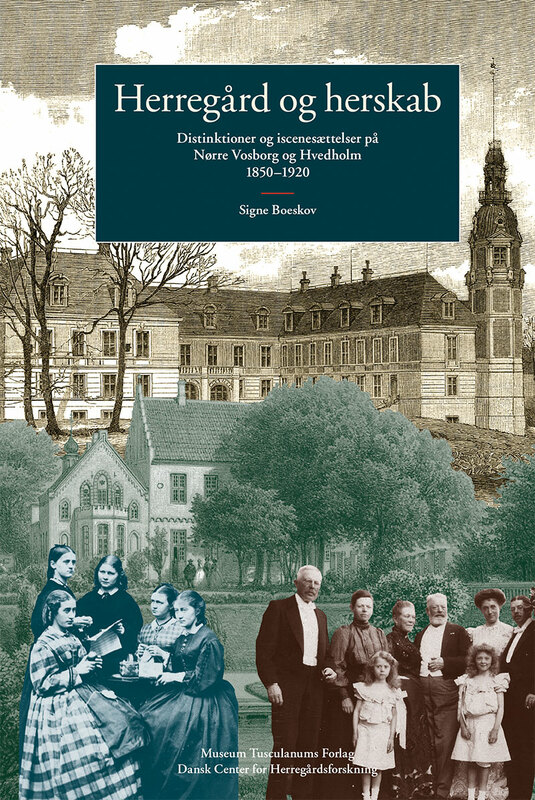 Published by the Danish Research Centre for Manorial Studies, 2009. Ill. ISBN 978-990777-1-7.